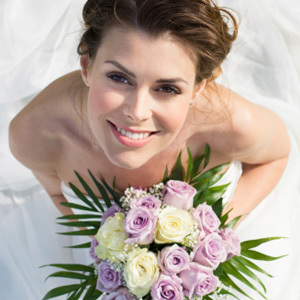 You want to look your best for that once-in-a-lifetime moment — like your wedding day. It can also take time and effort: many people spend months losing weight or trimming up at the gym. But while you’re getting the rest of your body ready for the big event, don’t forget your smile. The best approach is to make a plan that addresses your smile’s shortcomings — a “smile makeover,” if you will. And the best place to begin is with us, your family dentist. We’re already familiar with your dental health status, so we can advise you on what’s possible and best for you. We can also provide many of the services that enhance smile appearance. If your teeth are relatively healthy and attractive, a thorough dental cleaning or a whitening application can revive your smile’s brightness just in time for the big day. And for minor defects like a chipped tooth or discolored old fillings, we can bond the latest tooth-colored materials to those unsightly areas. And any of these procedures can be performed in one visit. Installing porcelain veneers is an effective way to restore more moderate tooth defects. These thin outer coverings with life-like color, shape and texture can effectively hide mild to moderate chipping, discoloration or slight gaps between teeth. Teeth with more extensive damage can be completely covered with a crown made of similar life-like materials. Either of these solutions could match the shape and color of nearby teeth. By planning well enough ahead, you may also benefit from more extensive cosmetic changes. Missing teeth always pose a challenge, but there are a number of viable options: fixed bridges using adjacent teeth; various denture solutions, including implant-supported removable overdentures; and the dental implant, the rising star for dental restorations that replaces both the root and crown with a durable, life-like tooth. There are also orthodontic solutions for misaligned teeth (at any age!) and surgical procedures for gums that help restore lost tissue or correct a “gummy” smile showing too much of the gums. Whatever your needs, there’s a way to make your smile more attractive. It’ll be all the more reason to display it confidently on your special day. Are Dentures Right For You? What Does a Toothache Mean? What Can I Do If I Don't Have Insurance? Do You Habitually Clench or Grind Your Teeth?